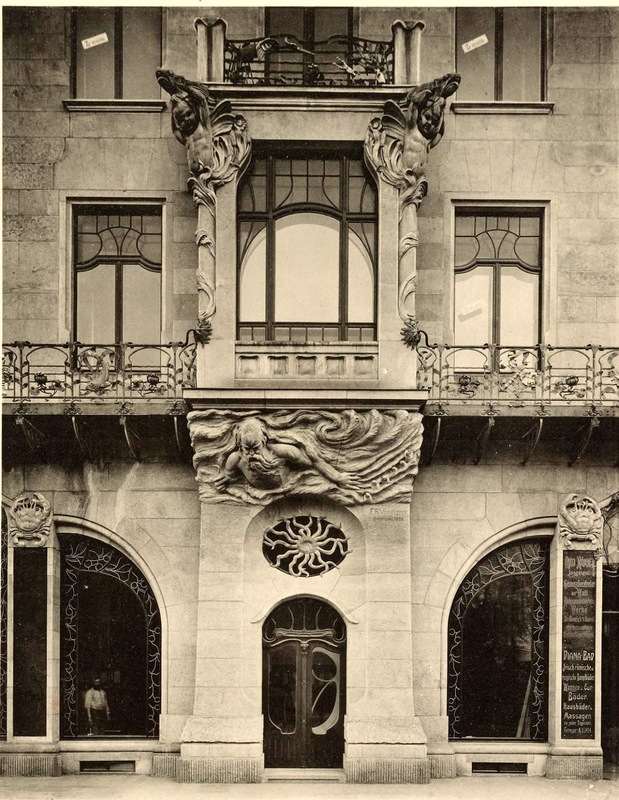 One of my favorite blogs is Archi/Maps, which posts plans for buildings built and unbuilt, and old photographs of architecture. 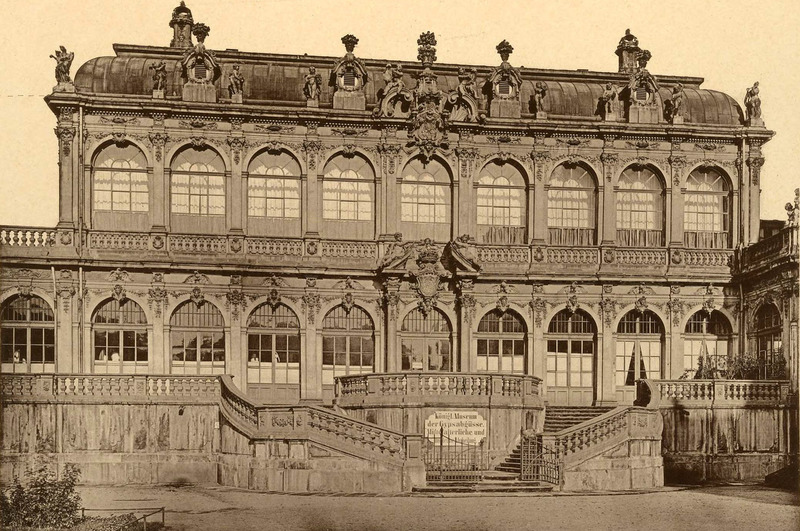 Over the past year they have posted a number of photographs of old buildings in Dresden, Germany that have greatly interested me. 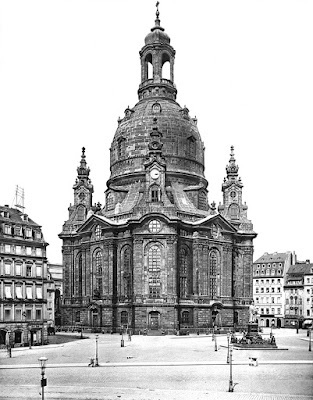 Some of these buildings have been reconstructed since World War II, especially the churches and palaces, but many others were lost. Above, the Frauenkirche (St. Mary's Church) in 1897. 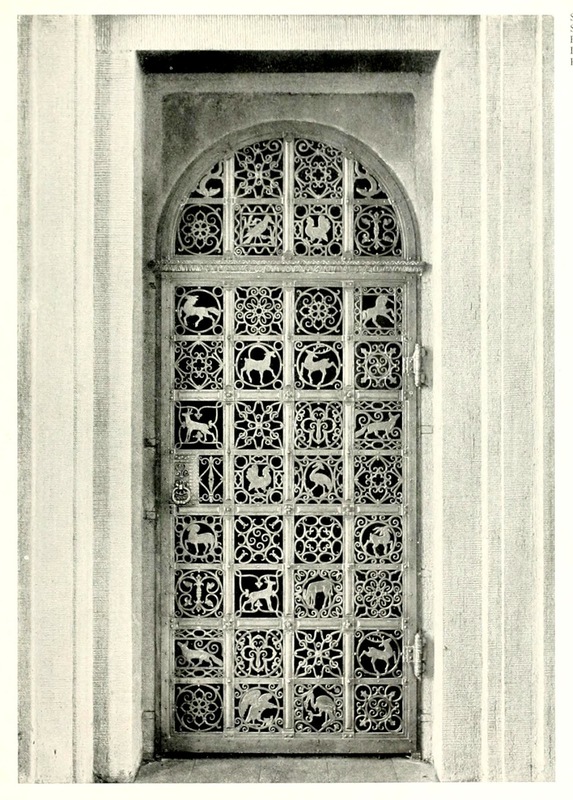 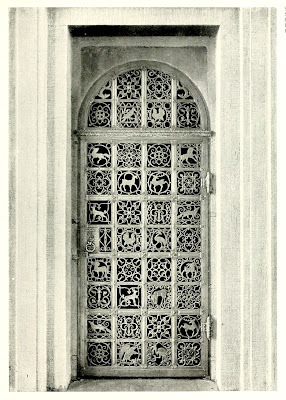 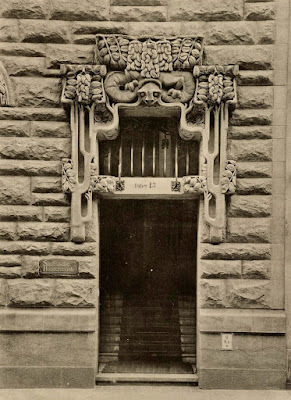 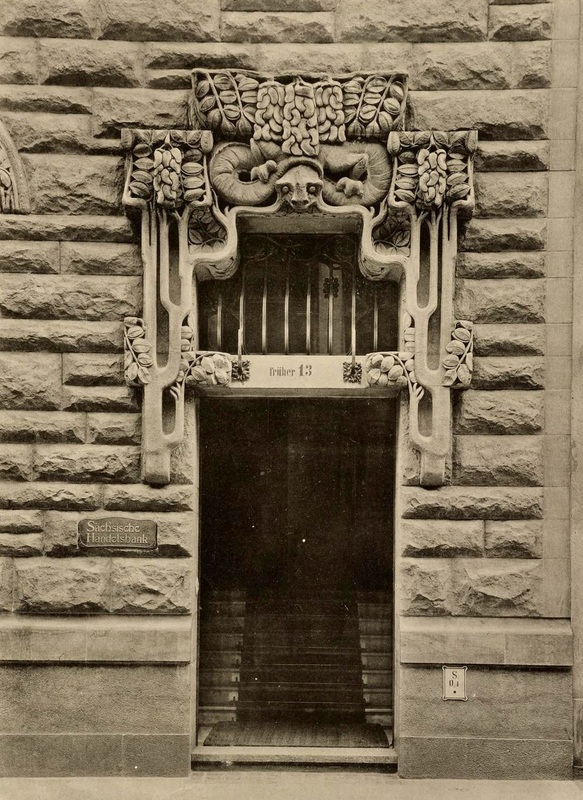 Doorway of a residential building. 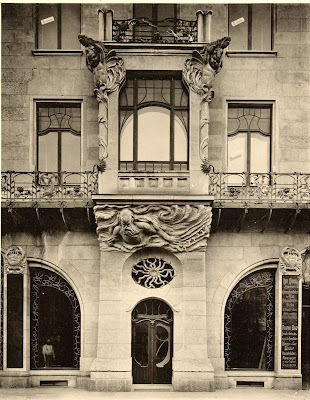 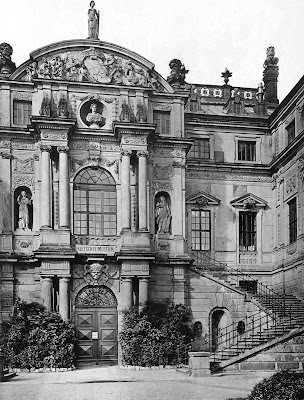 These photographs include several architectural styles: Baroque, Neoclassical, Neo-Renaissance, and Jugendstihl or Art Nouveau. 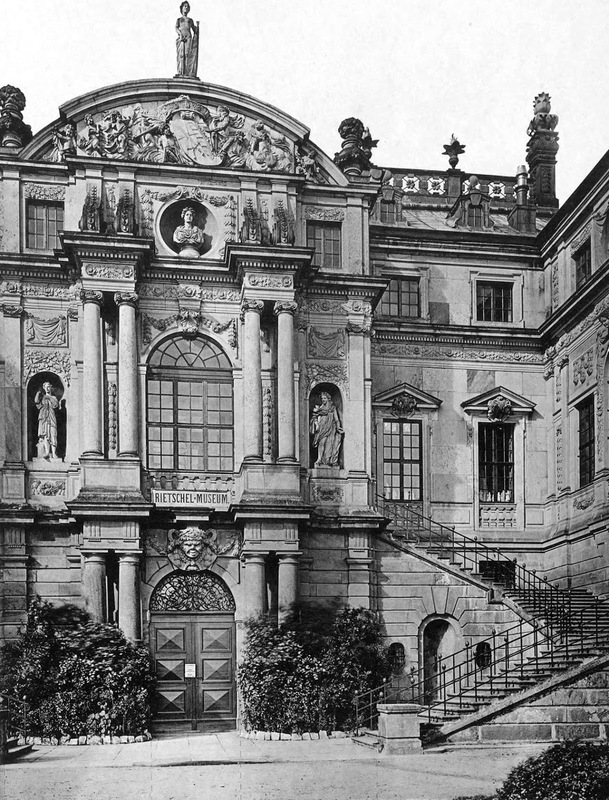 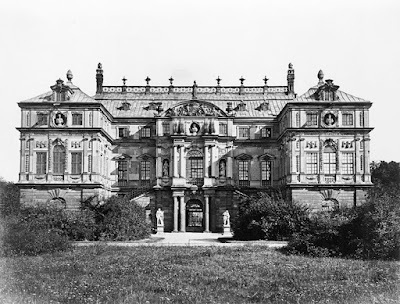 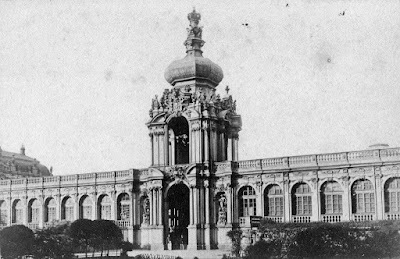 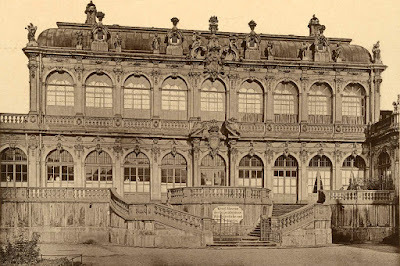 The Zwinger Palace, now a public park and art museum. 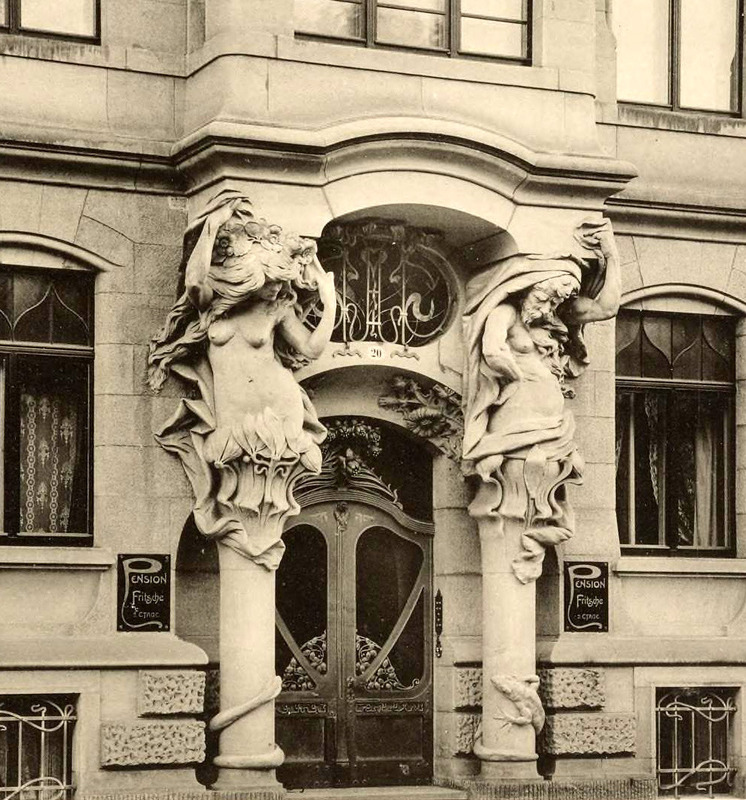 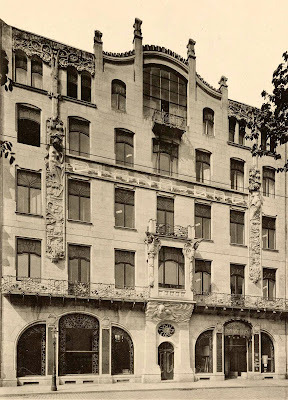 Side entrance to the Saechsische Handelsbank. The Opera House. 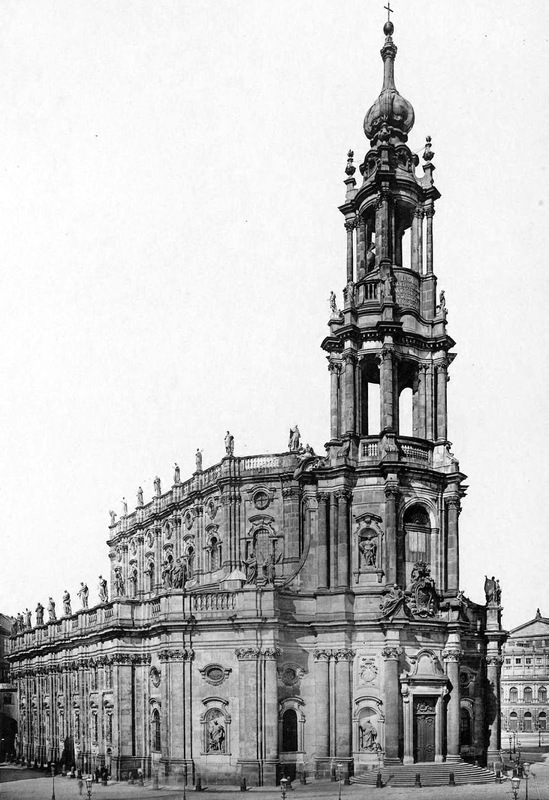 Altogether an amazing assemblage of grand buildings for a rather small city. 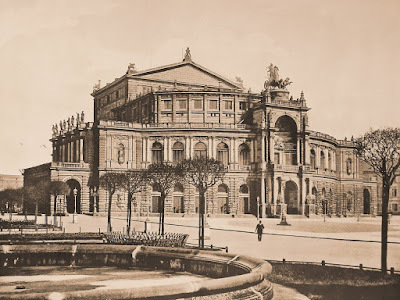 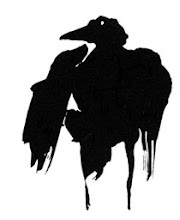 I was just enjoying a podcast in which Dresden, Berlin, and other German cultural centers came up, and the hosts were imagining how very different things might have been if the Nazis never came to power, and Weimar era culture had instead continued to develop.